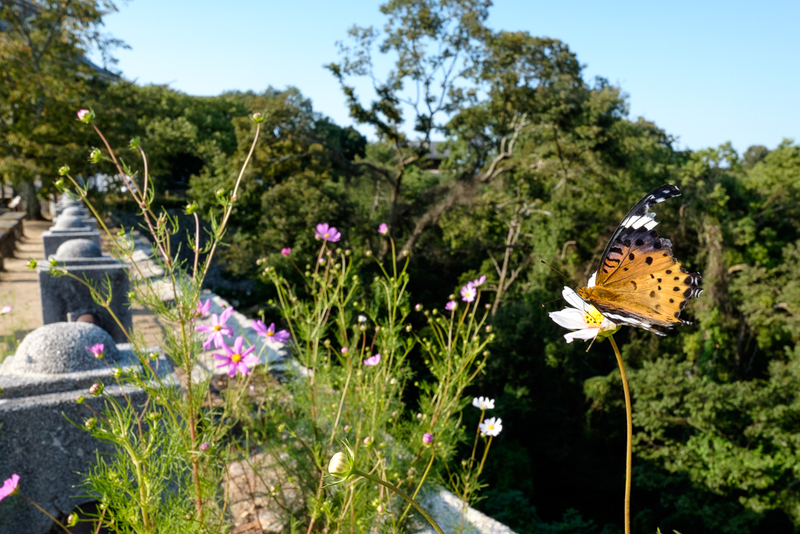 Matsuyama (松山市) is the capital of Ehime Prefecture, and the largest city on Shikoku Island. 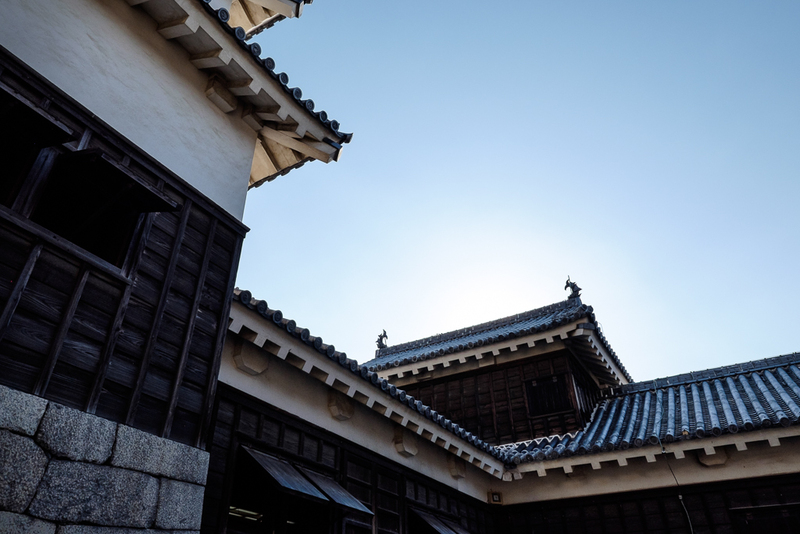 One of the stops on my Japan roadtrip, we spent a day there exploring the city’s two most famous attractions: its feudal castle overlooking the city, and the oldest hot springs in the country, both dating back hundreds of years. 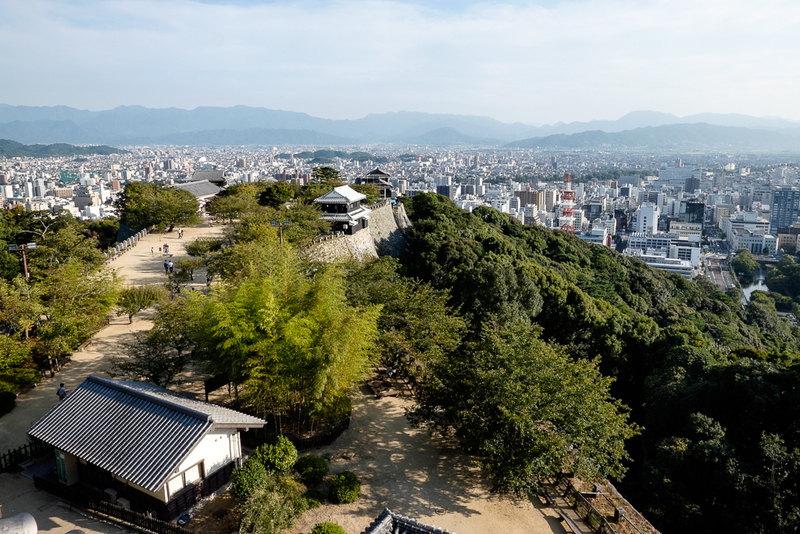 Located at the top of Mount Katsuyama, which is really just a steep hill, Matsuyamajō (松山城, Matsuyama Castle) is visible from nearly every corner of the city. 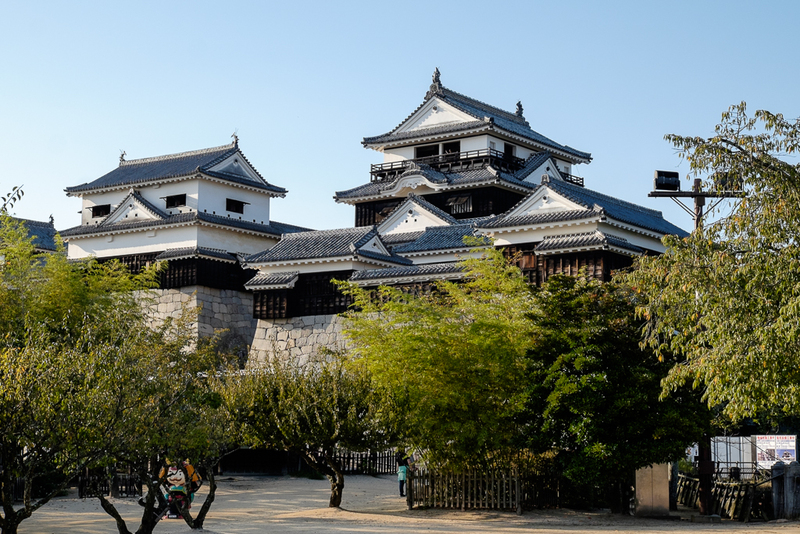 Lovingly restored after wars, fires, and lightning strikes, the castle is a beautiful sight especially during springtime’s cherry blossom season. Access to the site from the city centre is convenient via a ropeway tram or single-seat chairlifts up the side of the hill – or you could hike the short distance up. The castle consists of an outer and inner keep, as well as several turrets and a main tower. 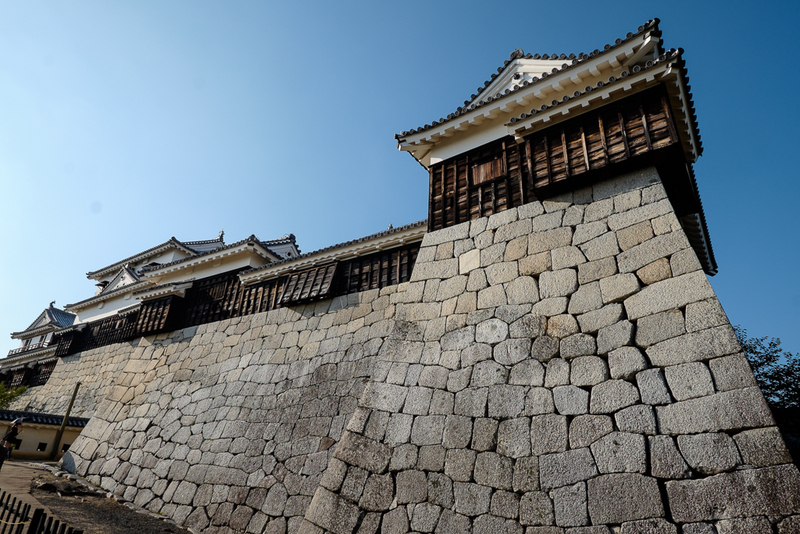 The precision-constructed sloped walls made it difficult to breach the castle. 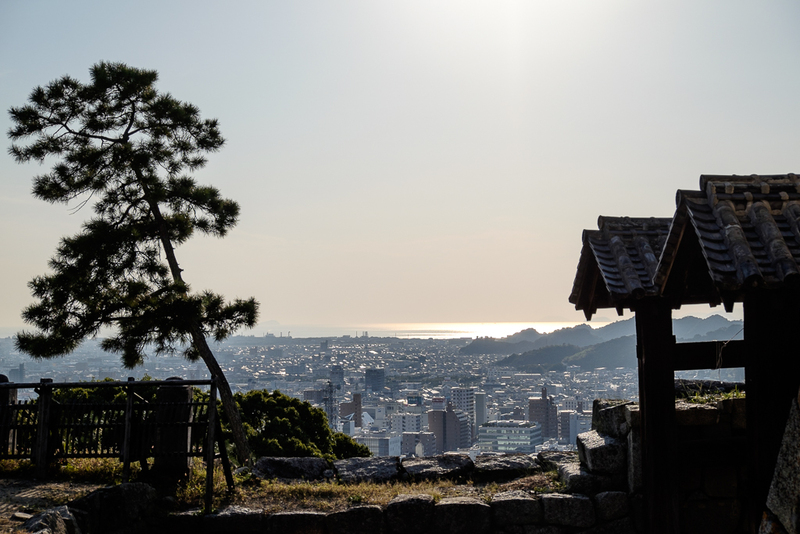 From the top of the tower are great views of Matsuyama City and its shimmering harbour. 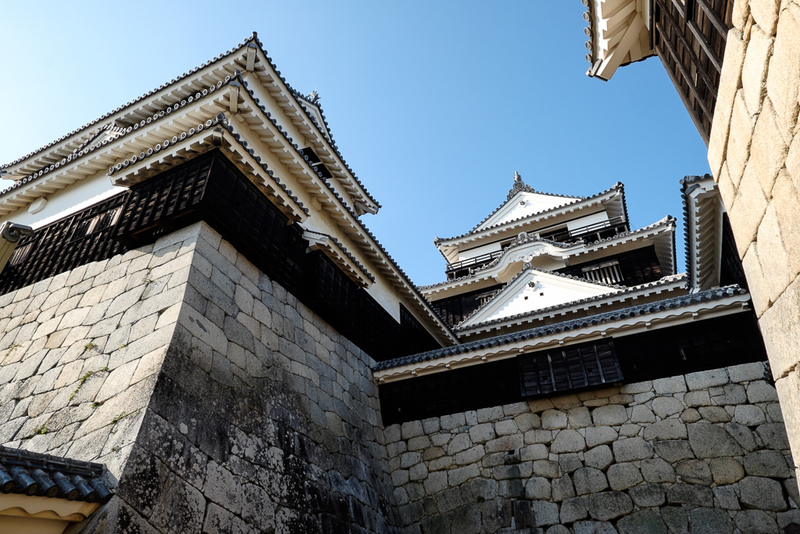 Inside the buildings are displays and artifacts describing the history of the castle and life around it. 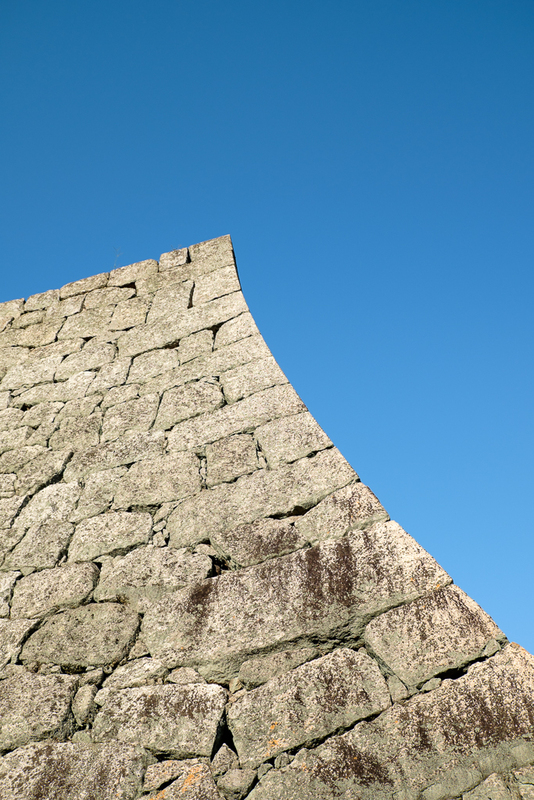 Steep walls and lookout turrets. The entrance to the inner keep. Great view of Matsuyama from the top of the hill. Gardens around the outer keep. Matsuyama city and the harbour in the distance. 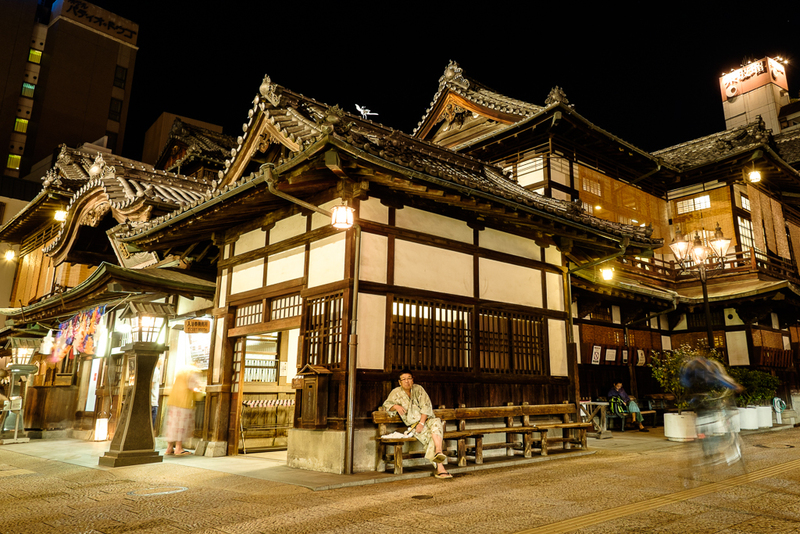 One of Japan’s oldest and most famous hot spring resorts Dogo Onsen (道後温泉) is located in central Matsuyama. 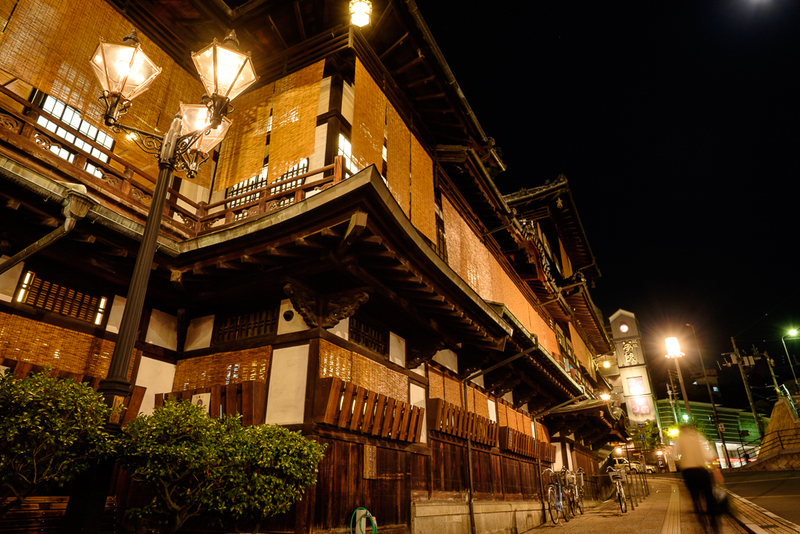 The area is very popular with tourists for its many ryokan (traditional Japanese inns) as well as the public bath houses; the use of the Dogo Onsen hot springs for therapeutic healing goes back over 1,000 years. 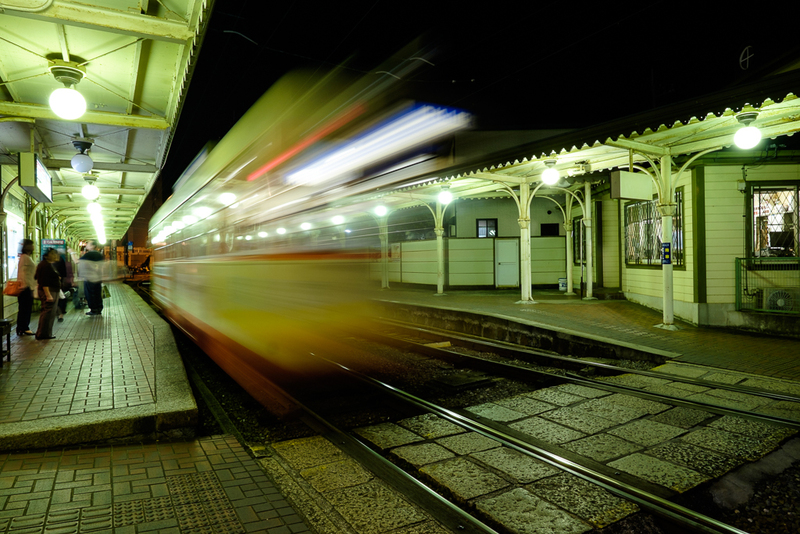 The most famous attraction in the Dogo Onsen Honkan, a traditional wooden public bath house that dates back to 1894. 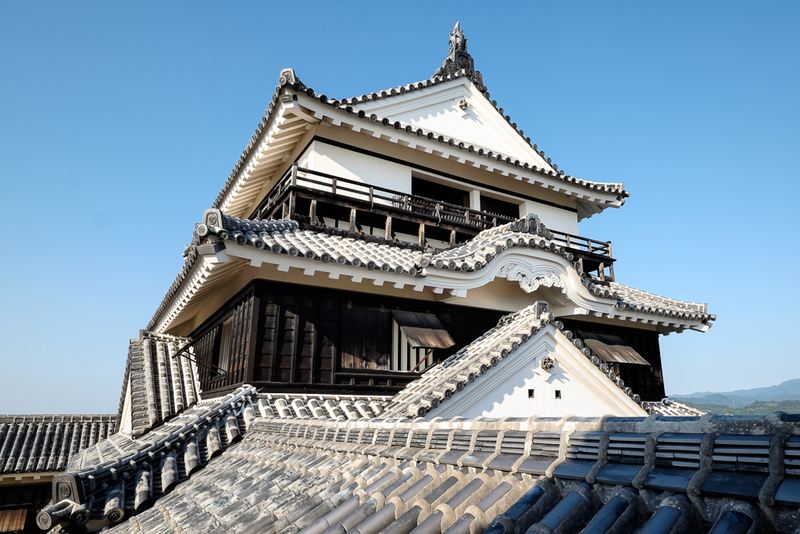 For a small fee you too can experience the same hospitality as some of Japan’s most famous guests, including the Imperial Family. 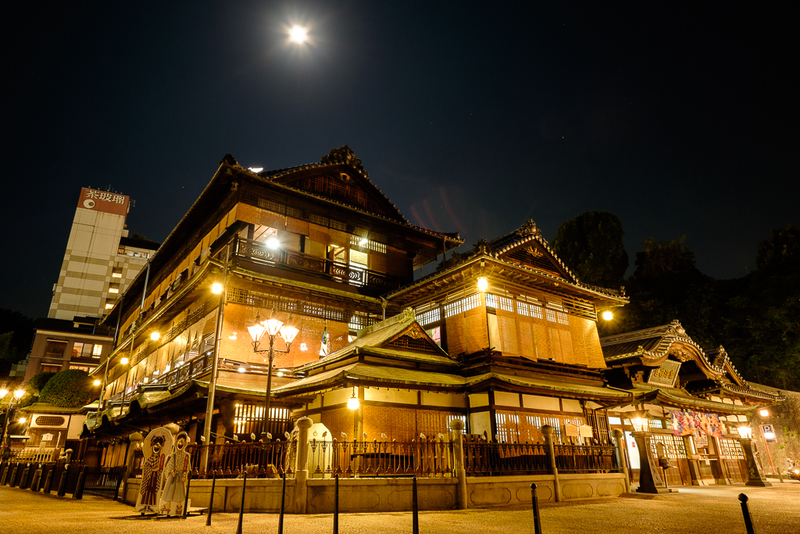 The building was also the inspiration for the bath house in Hayao Miyazaki’s famous animated film Spirited Away. 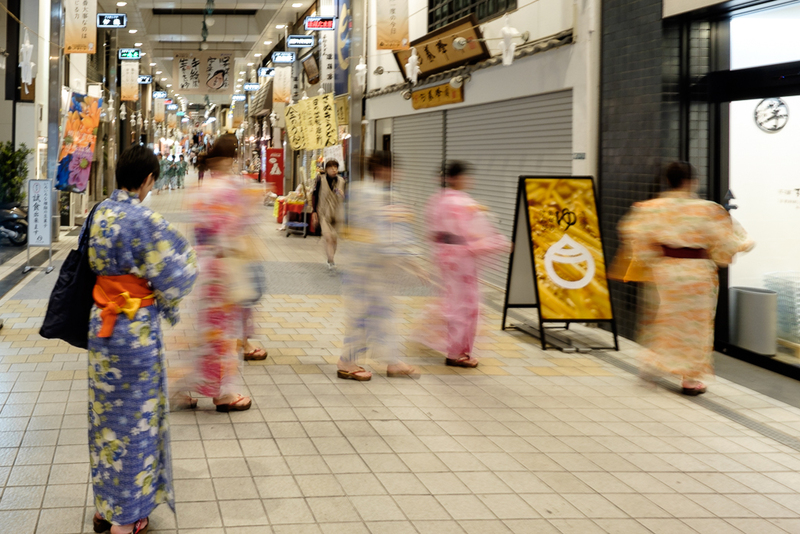 Ryokan guests often stroll the streets in traditional yukata. 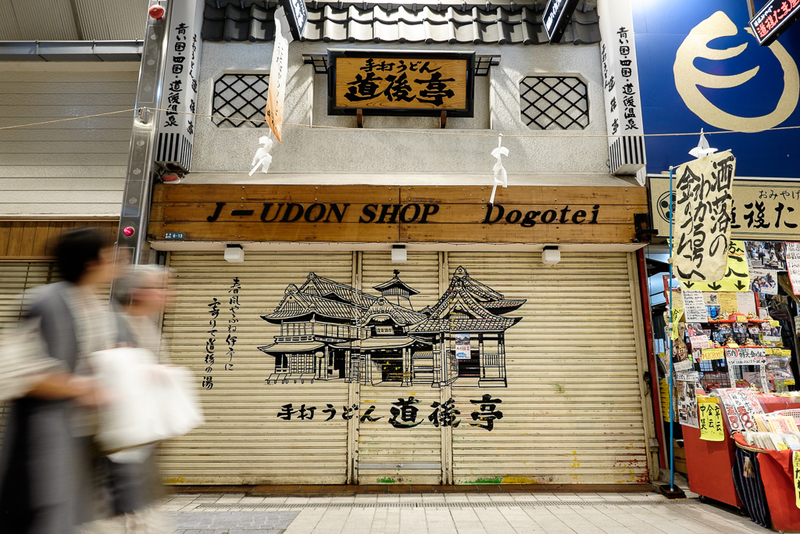 Udon shop in the arcade. Udon noodles are a Shikoku specialty. 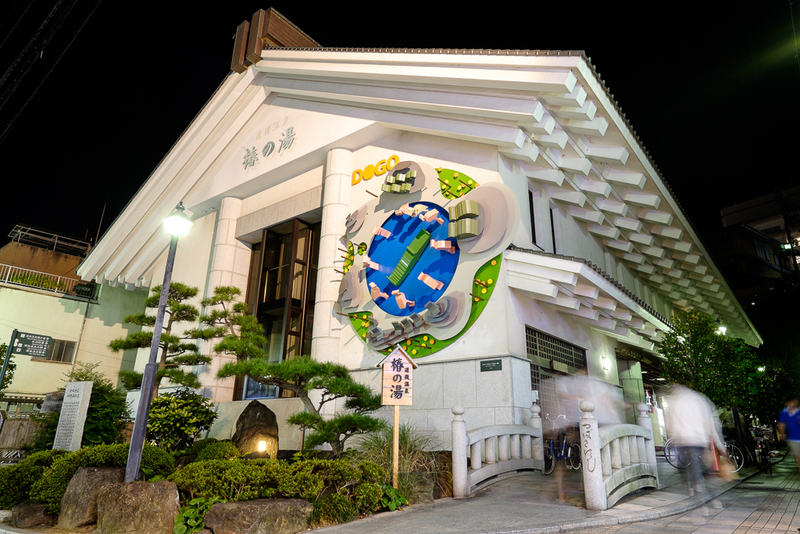 Dogo Onsen’s secondary bath house, Tsubaki no Yu, that uses the same hot spring source. The main bath building, Dogo Onsen Honkan. 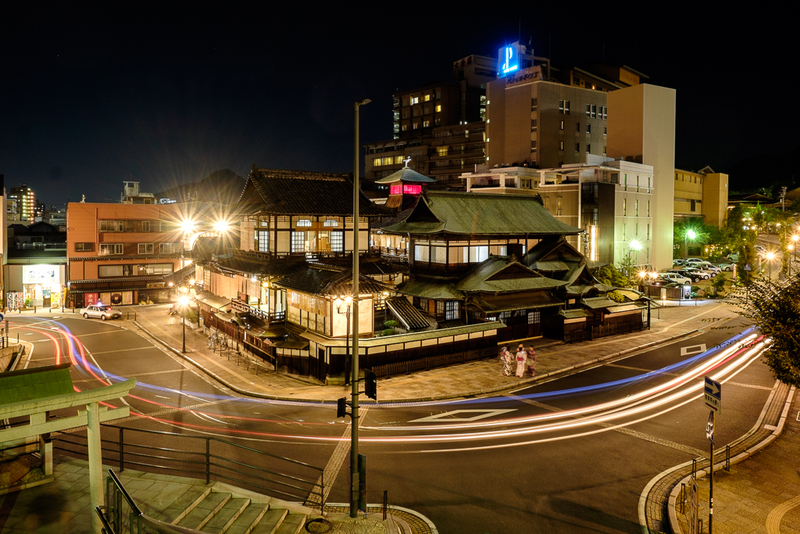 The traditional public bath surrounded by modern Japan. 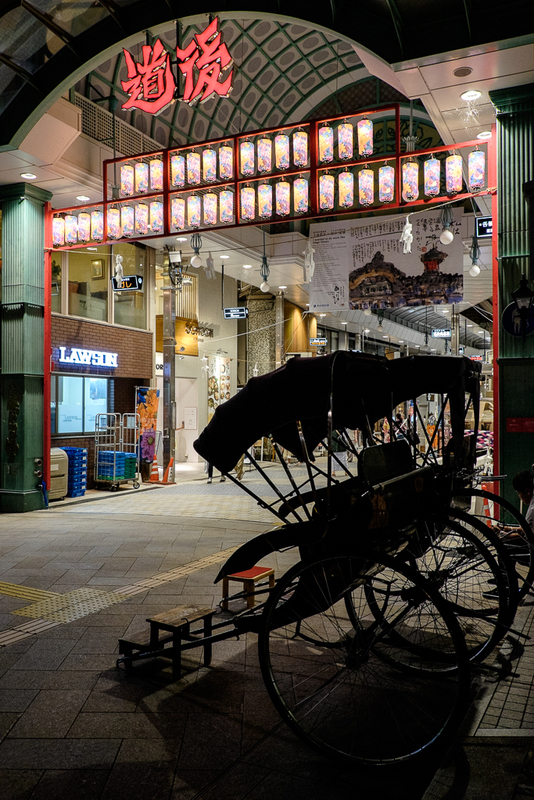 Dogo Onsen Honkan, the inspiration to Spirited Away.